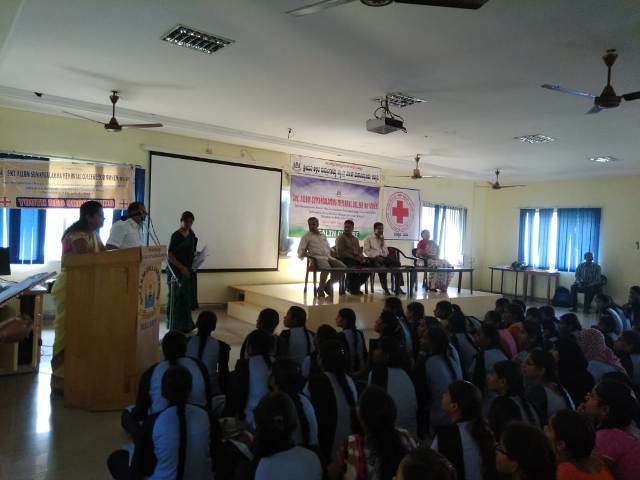 Activity of Health Centre in association with Indian Red Cross Society & VIMS, Ballari. The Health Centre of Smt. A.S.M. 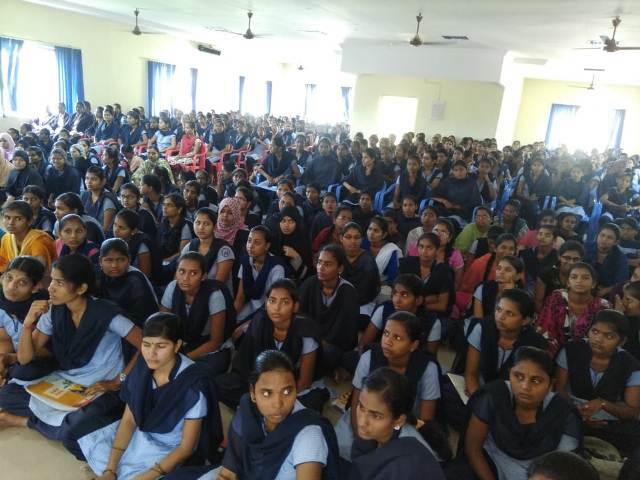 College for Women in association with Indian Red Cross Society & VIMS, Ballari, had organized a Health Awareness Programme on 11/09/2018 in the College Seminar Hall. Principal Dr.S.Y.Thimma Reddy who presided over addressed the gathering. He spoke that good health can enable a man to achieve anything in life. He said that such health awareness programmes are the need of the hour. 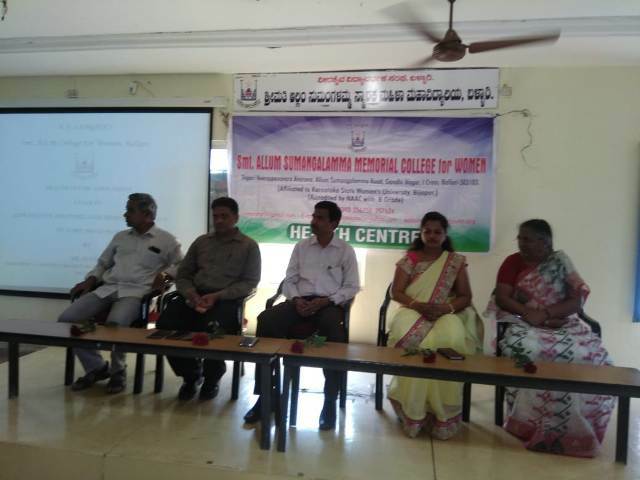 Dr.Jyothi, Medical Officer at District Health and Family Welfare Centre, Ballari, was the Chief Guest and Resource Person. She spoke on the topic “Adolescence and its related problems in Women” which was an exclusively for women. Mr.M.A.Shakeeb, State Coordinator, IRCS, who was present on the dais also spoke about the prospects and services rendered by Indian Red Cross Society. The Convener of Health Centre Smt.Shanthi B Tabita and Convener of Youth Red Cross Wing Sri.A.Mallikarjuna Reddy were present on the dais. Staff Members and hundreds of Students witnessed the event. Kum.Suvrata Hegde welcomed the guests. 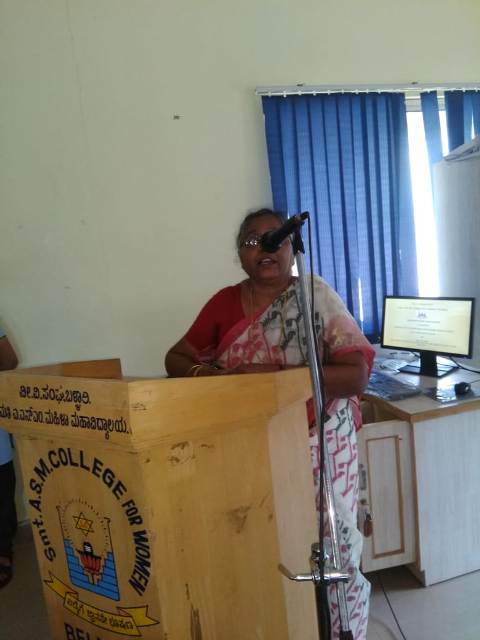 Ms.Anita Krishna compeered the event and Kum.Manasa proposed the vote of thanks.